Although the summer months are what Niagara seems to be most remembered for, there is just something magical about winters in the region. Now that the holiday season has passed and all of the hustle and bustle of Christmas is over, it is the ideal time to enjoy some of the beautiful winter events that the Niagara region is famous for, such as its unique wine tastings and the various winter festivities. 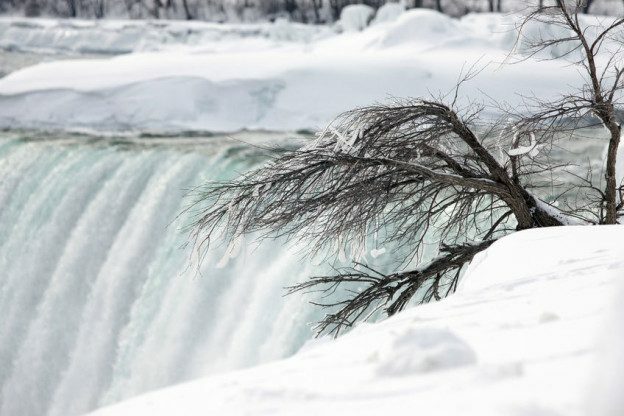 Here is a quick look at some of the highlights of winter in the Niagara region. Just because it is winter does not mean that the Niagara wine tasting experience is over. Come on out and enjoy some of the most unique ice wines available in Canada. There are many wineries that offer great winter themed ice wine tasting events. Some of these wineries have paired up with local chefs to offer a unique experience to try some local culinary dishes with your ice wine. During the month of January, Niagara on the Lake hosts the 21st annual ice wine festival. Be sure to include this experience in your visit to the region so you’ll have something to brag about when you get back home. The festival transforms Niagara into a winter wonderland complete with ice bars, chestnut roasts, ice skating and, of course, opportunities to sample Ontario’s finest selection of ice wines. The festival is held on January 15-31st in the town of Niagara-on-the-Lake. If the wine festival and wine tasting does not appeal to you, Niagara also offers some great winter events. Come and enjoy an evening of great music at Simcoe Park in the heart of the Niagara region. Sounds of Winter is part of the TD Niagara Jazz series and is a free event. Bring your own chair and beverages, and relax to the sounds of some great local jazz. If you have not gotten your fill of chocolate over the holidays, Niagara is hosting a fondue chocolate falls. Here you’ll be able to partake in a Belgian chocolate fondue night that is perfectly paired with an award winning Cabernet Franc icewine. This event is proudly brought to you by Riverview Cellars Estate Winery. These are just a few of the many great events and activities that are available in and around the Niagara region. And we all know that any trip to the region would not be complete without a visit to the famous Niagara Falls. Make sure to see the falls in their winter grandiose. Also, make sure to take a stroll through the picturesque town of Niagara, and stop in at some of the local shops for a fully authentic Niagara experience. While you are in town, make sure to visit some of the quaint neighbourhoods in order to see some of the spectacular Niagara homes in all of their winter glory. This entry was posted in Blog, Uncategorized on January 21, 2016 by Kevin Stokes.